After being leaked earlier this week, Blizzard have now officially announced plans to release a Nintendo Switch version of popular ARPG Diablo 3 later this year. “The Eternal Collection is the definitive version of Diablo III, and we’re thrilled to team up with Nintendo to unleash it for Nintendo Switch gamers around the world later this year,” said Mike Morhaime, CEO and cofounder of Blizzard Entertainment. 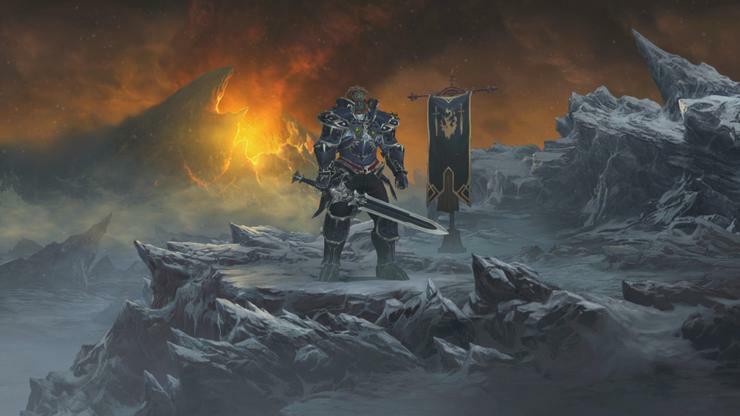 The Eternal Collection version of Diablo 3 will include the base game, Reaper of Souls expansions pack plus the Rise of the Necromancer downloadable content. The Switch version of the game supports up to four player co-op, both online and locally. It also comes bundled with a new ;Legend of Ganondorf' cosmetic armour set, inspired by The Legend of Zelda villain. "By partnering with companies like Blizzard, we're able to create new ways of engaging with beloved content. Blizzard and Nintendo share a commitment to redefining the way people play games, and with the Diablo III Eternal Collection for Nintendo Switch, that means players can now explore the vast world of Sanctuary anytime they like, and anywhere they go." Blizzard say that Diablo III Eternal Collection for Nintendo Switch will be available later this year at retail stores everywhere and digitally through the Nintendo eShop.